Offering you a complete choice of products which include x-vir entecavir tablets, entavir tablets and entecavir ip tablets. 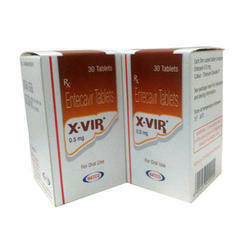 X-Vir Is Utilized To Deal With Extended-Phrase Hepatitis B Infection. Hepatitis B Is An Infection Of The Liver Brought On By The Hepatitis B Virus. Extended-Phrase Infection Can Result In Liver Injury, Hardly Ever Liver Cancer, And Liver Failure. Entecavir Assists To Reduce The Volume Of Hepatitis B Virus In Your Entire Body.What Are The Possible Side Effects Of X-Vir 0.5 Mg Tablets? Severe Allergic Reactions (Rash; Hives; Itching; Issues Breathing; Tightness In The Chest; Swelling Of The Mouth, Encounter, Lips, Or Tongue; Signs And Signs Of Lactic Acidosis (Example: Quickly Or Challenging Breathing; Quickly Or Irregular Heartbeat; Feeling Cold, Specifically In The Arms Or Legs; Serious Dizziness Or Light-Headedness; Abdomen Soreness With Or Without Having Nausea Or Vomiting; Uncommon Muscle Soreness; Unusual Weakness Or Tiredness; Signs And Signs Of Liver Difficulties (Example: Dark Urine, Feeling Sick To Your Stomach, Pale Stools, Persistent Reduction Of Appetite, Stomach Soreness, Yellowing Of The Skin Or Eyes). This Is Not A Comprehensive Listing Of All Side Effects That May Possibly Take Place. If You Have Queries About Side Results, Make Contact With Your Wellness Care Supplier. Get In Touch With Your Medical Doctor For Health-Related Guidance About Side Effects. 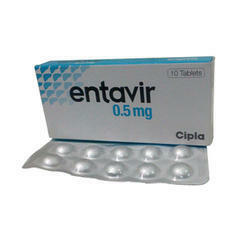 Entavir Is Utilized To Deal With Extended-Phrase Hepatitis B Infection. Hepatitis B Is An Infection Of The Liver Brought On By The Hepatitis B Virus. Extended-Phrase Infection Can Result In Liver Injury, Hardly Ever Liver Cancer, And Liver Failure. 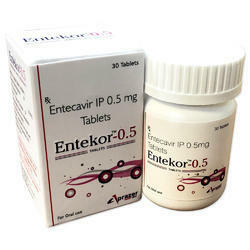 Entecavir Assists To Reduce The Volume Of Hepatitis B Virus In Your Entire Body. Dizziness; A Headache; Nausea; Tiredness.